The ‘Grow you own’ world is amazing and I was lucky enough to enter it nearly 2 years ago. 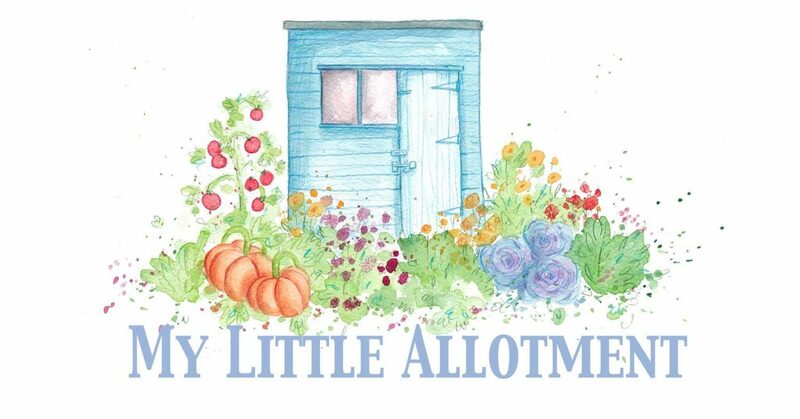 It is definitely changing and watching social media closely I can see more and more people and families getting involved with growing flowers, vegetables and fruit at home or on an allotment plot. During my two years on my allotment and experiencing some wonderful shows and events things are changing in the gardening world and we are seeing more and more amazing products on the market. One of those for me is the Vegepod. Originating from Australia I think the Vegepod is soon to become something revolutionary on the market in Britain too. There are many wonderful aspects to the Vegepod that might not be clear from the outside, so I wanted to write a blog about what the Vegepod is and why it might be perfect for you. I think the Vegepod is Completely transforming the way we can grow our on in small spaces, balconies, urban gardens, family gardens and even on the allotment. Back in May 2018 I was lucky enough to meet Simon and Neil two of the very lovely Vegepod team and they came to help install my very own vegepod on the allotment. So for the past 8 months ive been meaning to come on here to give it a proper review. Now this isn’t an AD, or sponsored this is just me writing an honest blog about a product that I have and wanting to tell you all about it. The verdict is in and the Vegepod is brilliant! Basically if you want to grow your own, hate pest, care about saving water or have a small space to grow your own then the Vegepod might be perfect for you. So back in 2018 I got the Vegepod set up at the allotment (by the way its super easy to set up, no tools needed) filled it with compost, sowed all of my seeds in it and gave it a water. Literally only a few days later out popped the first seedlings and it just didn’t stop. The pod seemed to just accelerate the growth and within 3-4 weeks I was harvesting most of the vegetables I had sown with very little effort. The vegepod has lots of features that help make it such a great product. The first thing that makes it different from other products is the cover. The cover is an agricultural grade cover that is porous to let the rain in, but has 17% shading to stop plants from being scorched. Most importantly it stops all of those naughty pests! From slugs, mice, rabbits and all the way to kangaroos in Australia the vegepod will keep your greens safe. The vegepod also helps to save water, the cover is porus so it allows the rainwater to get to your greens but it also has a wicking system at the bottom of the pod where it can store water. Each section of the pod at the bottom can hold 16 litres of water (meaning a large pod can hold 64 litres of water) and on top of that sits a wicking bed. The wicking bed system uses a capilairy action with the weight of the soil to draw up the water towards the plants and to the roots. With the 16 litre capacity per bed this allows water to be stored, so when it does rain you wont be loosing any of the free rainwater. I also over the summer popped buckets under the overflow holes on the pod to catch any extra water. The great thing about this is if you are going away on holiday you can fill up the vegepod with water until the wicking beds are full and the vegepod will water the plants while you are gone. I have to say I love my holidays but they can sometimes be a nightmare when we are constantly worrying about our gardens and allotments. You can have the Vegepod on a stand or directly on the ground, the benefits of the stand is that the height makes growing your own less back breaking work. It also then makes it accessible for anyone using a wheelchair or anyone that is unable to get down to ground level and is a great height for kids too. This product is helping make grow your own accessible to more and more people. I had used my vegepod over the summer and it was extremely successful, so much so that I wasn’t getting down to the allotment often enough to harvest it. The Vegepod seems to provide the crops with a perfect environment for them to thrive and grow. I decided late last year that I want my Vegepod at home, due to the pod growing my greens super quickly I thought I would benefit from having the product in my kitchen garden for easy access. For me the only problem I have had with the Vegepod is that it grows so well I had to bring it home so I can harvest it more frequently. Last year I grew the most incredible salad leaves, chard, lettuce, carrots and radish. This year I plan to use the pod for growing all of my fresh salad and cooking greens like spinach, lettuce and rocket. I will also be growing radish, baby carrots, chard, kale and I want to pop a chilli and aubergine plant in to see how they do outside in the UK. I really think this product will be big this year, its great for learning to grow your own, keeps the pests away, its great for small spaces, urban environments and even balconies. Meaning no matter how small the area you have you can still grow your own. If you want to know more about this product you can meet Neil who is running the UK vegepod adventures and the rest of the team at lots of shows this year. Vegepod will be touring the country so make sure you go and say hello and check our their products. If you would like to purchase a vegepod or want more information about the product please follow the link below to their website. Thank you all for reading my blog, I thought it would be nice to finally talk about a product I really love. I hope to write some more blogs about tools, seeds, plants and equipment that I use in my allotment/garden and would recommend to others. Thanks for the info on this product, it’s always good to find new things coming out.